My husband and I just sold our first home. After living there for six years and transforming it to suit our needs completely, going from a married couple to a family of four, and loving the neighborhood—we’re missing it. 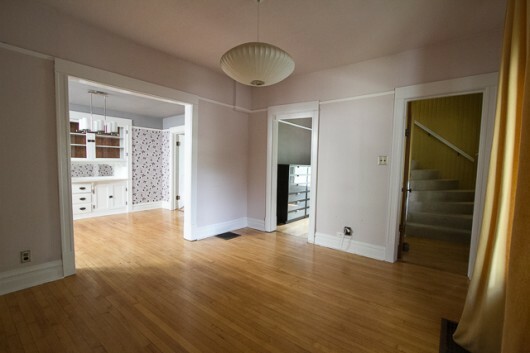 We have our new house to look forward to, but right now all we can do is look forward to it. Moving is supposedly one of the most stressful things you can experience. Add in a period where you’re between houses—and all of your stuff has to live in storage—and you’ve got a not-so-fun time. We’re staying with family, in a house in the woods, on a lake. It’s a forced vacation, and even though it’s not a true vacation (I still have to work, boo), we’re making the most of it. We’re all feeling a bit uprooted, but being surrounded by family feels like home. We’ll take it. 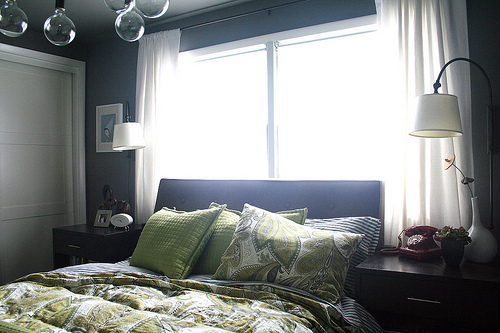 Get plug-in dimmer switches for your bedside lamps if you can’t easily reach them from a laying down position. We had wall sconces that we loved on each side of our bed at the old house, but you couldn’t turn them off unless you got out of bed and stood up to reach the switch near the top! After using them like that for about a year (too long), I bought a couple of adapter switches, which could be placed discretely at the inside corner of each bedside table. No more reaching up to turn off the lights! Specifically Umberto Eco’s Dry Clean dry shampoo. I’ve tried a lot, and this one is perfect. I use it even on clean hair for a little volume. As long as I keep on top of regular haircuts (short hair = regular haircuts! ), I have good hair days more often than not, with the aid of a little dry shampoo.